You are here: Home / Natural Fine Planetary Talismans / What is Indraneelam? It is a super lustrous Blue Sapphire with Violet Tones. What is Indraneelam? 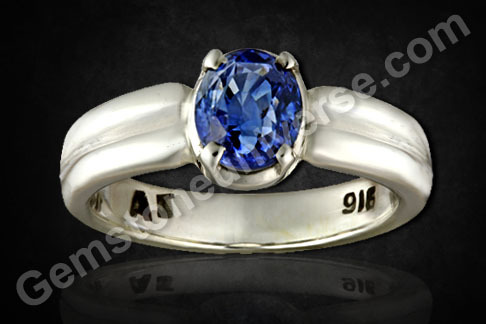 It is a super lustrous Blue Sapphire with Violet Tones. Sparkling Cornflower Blue colored, Natural Ceylon Blue Sapphire for Lord Shani-Vedic astrology Talisman. Comments The first and most important aspect of colored gems is – Color! With the best possible color of Cornflower Blue, this fully natural and untreated Blue Sapphire from Sri Lanka also excels in its clarity, cut and caratage! 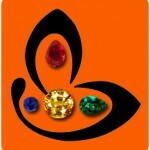 With the 4 Cs excelled, the Jyotish powers just overflow through its fine facets! The color is aglow with the limitless powers of the Karmic planet – Saturn! A super fine Sattvik gemstone making a powerful Jyotish talisman when set in this sterling silver ring and all set to deliver the best and powerful Jyotish results of the planet that is considered as one of the most powerful planets – Saturn!